Download this free eBook to learn how to find the right big data solution for your business or organization. Big Data for Dummies cuts through the confusion and helps you take charge of big data solutions for your organization. Available for download free of charge for a limited time. Big data management is one of the major challenges facing business, industry, and not-for-profit organizations. Data sets such as customer transactions for a mega-retailer, weather patterns monitored by meteorologists, or social network activity can quickly outpace the capacity of traditional data management tools. If you need to develop or manage big data solutions, you'll appreciate how these four experts define, explain, and guide you through this new and often confusing concept. You'll learn what it is, why it matters, and how to choose and implement solutions that work. This 25 chapter eBook will help you find the right big data solution for your business or organization. 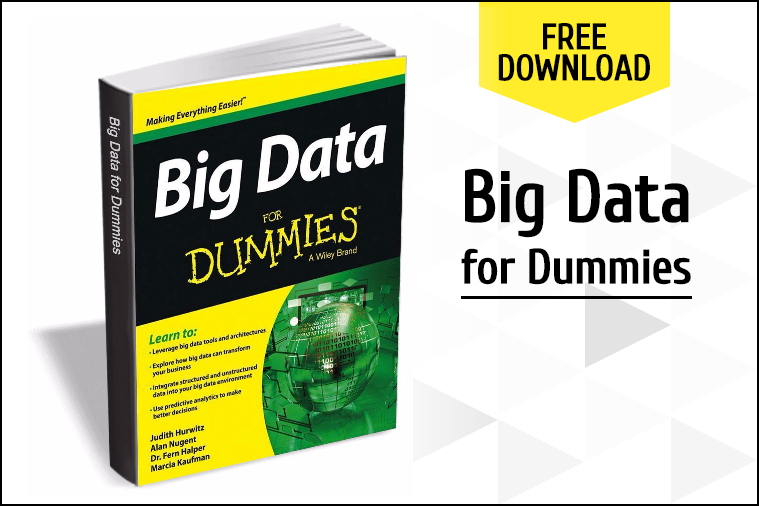 Download your Big Data for Dummies eBook today, available for a limited time, expires at midnight 01/22/16.